ANALYSIS: A number of radical right-wing parties did make gains in the European parliamentary elections between 22-25 May. Some results are worrying. But let’s not lump together a wide assortment of unique parties. 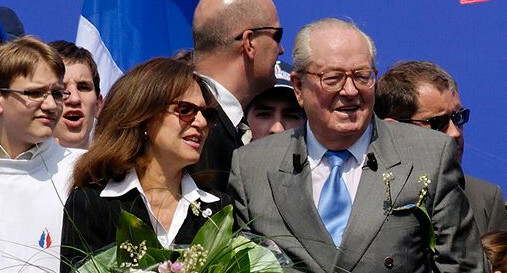 Marine Le Pen (left) of the Front National won the European elections in France. 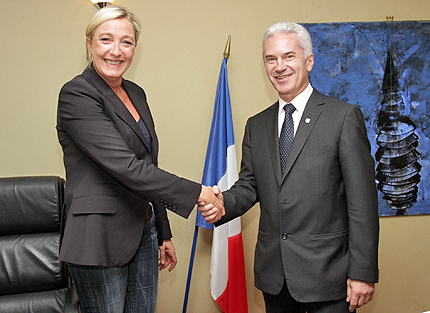 Here she is depicted together with the Bulgarian far right politician Volen Siderov of Ataka, who fell out of the European parliament. (Photo: HomoByzantius, WikiCommons, under Creative Commons BY-SA 3.0). “That ‘earthquake’ in Europe? It’s far-right gains in Parliament elections,” CNN declares. And from the Wall Street Journal: “Anti-EU, Far-Right Parties Post Strong Grains in European Elections”. Other media follow suit, often focusing on the radical right-wing National Front’s big victory in France and the victory of the UK Independence Party (UKIP), the first time in modern history a British election has been won by neither Labour nor the Tories. Those are perhaps the two best examples of the populist right’s rise in Europe, a third being the victory of the Danish People’s Party in Denmark. But cooperation among the winners seems less than likely. In the Daily Telegraph, UKIP leader Nigel Farage said simply that it will not happen. He added: “We’ve got to find a group of people that we think are part of our political family with views that are consistent with classical liberal democracy.” The underlying message seemed clear: The National Front is not amongst those parties. Back in November, Farage made a similar point, stating that “anti-Semitism is still deeply embedded in that party”. Leading Danish People’s Party politician Morten Messerschmidt has said much the same. In March, he remarked that it was sad the National Front was so prominent, and pointed to its “deeply anti-Semitic roots”, “economic policies grounded in protectionism” and “all kinds of bizarre opinions”. 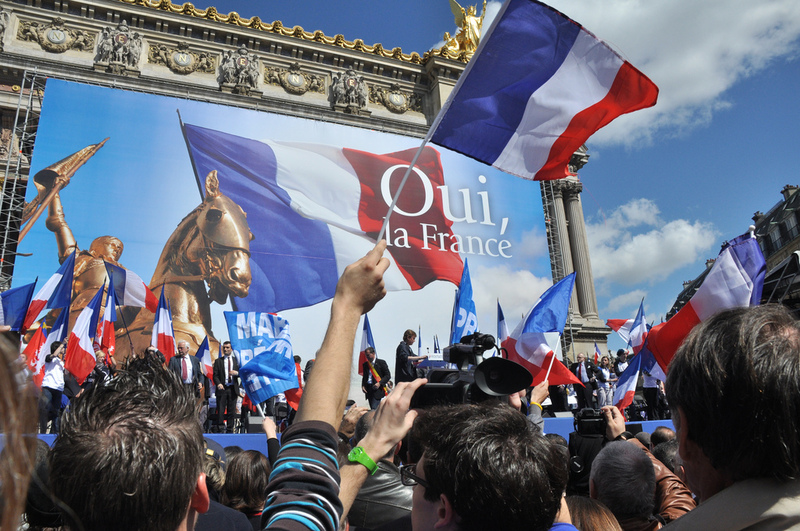 While Marine Le Pen has done much to modernize the party previously led by her father, Jean Marie Le Pen, there is no way around the fact that the National Front sprang from French neo-fascism of the late 1960s and 1970s. The party still carries some of that heritage. While the younger Le Pen has been attempting to rid the party of its racist image, she has been careful not to criticize her father. At 85, he still plays an active role, and just days before the election he made headlines again, suggesting that the deadly Ebola virus could solve the global “population explosion” and – by extension – European immigration problems. “Bizarre opinions” indeed. The elder Le Pen responded to the criticism by saying that his statement was merely an observation, and that he only wanted to point out that the Ebola virus causes a terrible disease that “like nuclear wars” could “modify a demographic evolution that is in itself catastrophic”. Across the English Channel, UKIP has had its share of politicians making what the press sometimes euphemistically describes as controversial statements. The local councillor Dave Small, for example, was suspended from the party after calling African immigrants “scroungers” and labelling Elton John a pervert because he is an open homosexual. Another example is Gordon Ferguson, who ran for election in Lancashire and said in a letter to voters that Labour, Tory and Liberal Democratic leaders “have conspired with a foreign power” – the EU – and thus are guilty of treason and “should be hung be the neck until dead”. Ferguson added that his opponents were unlikely to be brought to account, since senior police and judges are “almost exclusively Freemasons”. There is indeed quite a bit to talk about. It is – perhaps – more interesting to note that UKIP is a party with a nativist streak, an outright anti-European focus and a clear anti-establishment profile, placing it squarely in western Europe’s populist right-wing party family. The rise of UKIP has overshadowed a defeat of the far right in Britain. The British National Party, another radical right-wing party, lost its two seats in the European Parliament, held by party leader Nick Griffin and his colleague Andrew Brons. The party’s return to the fringe shadows from which it emerged is well under way. Udo Voigt (NPD) – here in front of a poster commemorating the Nazi leader Rudolf Hess – has been elected for the European parliament. (Photo: Marek Peters / www.marek-peters.com. Under GNU Free Documentation License). The gains of the German anti-Euro party Alternative for Germany (AfD), sometimes referred to as “Germany’s UKIP”, says more about Euroscepticism than about the radical right. The party won 7 per cent of the votes and seven seats in the European parliament, but has ruled out cooperation with France’s National Front and the Dutch anti-Muslim star Geert Wilders. While UKIP wants the United Kingdom to leave the European Union, AfD takes a softer Eurosceptical position. In an interview, AfD leader Bernd Lucke said the party was willing to cooperate only with moderate forces. In referring to UKIP, he used careful language. “Often there is an impression that UKIP belongs in the same corner as the National Front or Geert Wilders. But of course that is not the case. The UKIP is very clearly a democratic party.” At the same time however, he said UKIP has a different vision for the future of Europe. “In that sense I do not see any commonalities,” he said. In April, founding member Hans-Olaf Henkel said the German party was not going to team up with UKIP “because they want to dissolve the EU […] and their immigration policy looks ridiculous”. It might not be that simple. Some elements in the party do want to cooperate with UKIP, and are calling for an internal referendum. After the election, German media such as Zeit Online have described an internal conflict threatening to split the party between a classic liberal-conservative wing and the right-wing populists. Potential cooperation with UKIP, disagreements on foreign policy towards Russia and questions about immigration are amongst the issues at hand. Such internal strife could cut short the AfD’s time in the limelight, and the party’s further development is up in the air. Much farther to the right, another German party is celebrating the election of its first European Parliament member. The National Democratic Party, or NPD, has close ties to the neo-Nazi subculture in Germany, and a 2005 report by the German Federal Office for the Protection of the Constitution reported bluntly that “statements of the NPD document an essential affinity with National Socialism”. The report described the party’s agitation as “racist, antisemitic, revisionist and intends to disparage the democratic and lawful order of the constitution”. 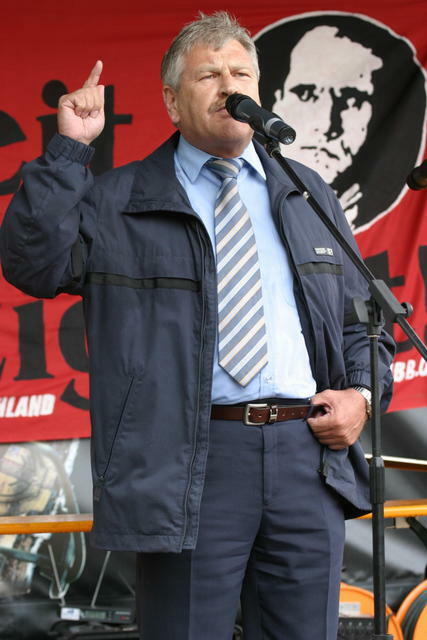 The recently elected MEP, Udo Voigt, has been convicted of promoting Nazism in the past – after describing Adolf Hitler as a great statesman. He also enjoys contacts with notorious white supremacist leaders internationally, including the American David Duke. In short, the NPD’s entry into the European Parliament is one of the more shocking results of the European elections. However, it does not reflect a major surge in NPD support. In fact, the party won no more than one per cent of the votes, down 0.3 per cent from last year’s federal elections. In February 2014, however, the German constitutional court ruled to scrap the 3 per cent electoral threshold for EU elections. This gave seats in the European Parliament to the NPD as well as the animal-rights Pirate Party, a minuscule right-wing ecology party, the minor Family Party and a satirical party known only as The Party. More alarming is Golden Dawn‘s entry into the European Parliament from Greece. This outright fascist party won almost 10 per cent of the votes, and thus three seats. Most worryingly, its victory occurred in spite of last September’s murder of rapper Pavlos Fyssas by a self-proclaimed member of the party, a murder that led to a criminal investigation into the party and its leading cadres. 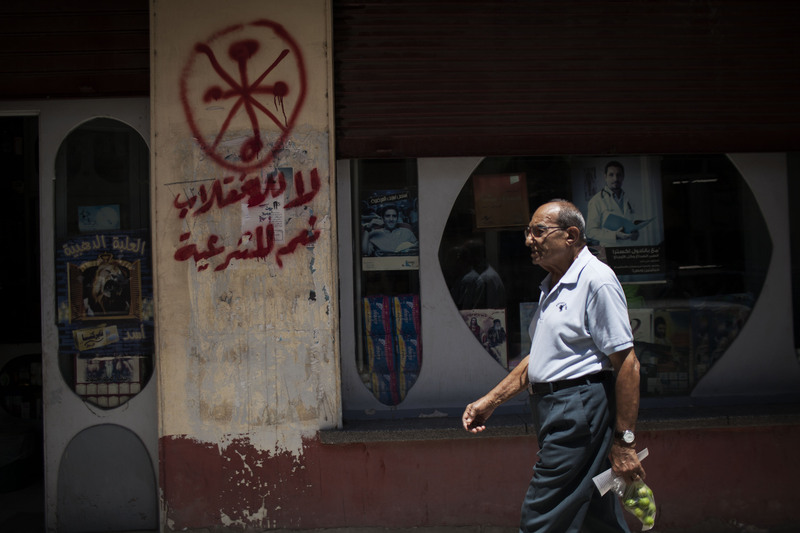 The result underscored the outcome of recent local elections; even with most of the party’s 18 Greek parliamentarians facing legals charges, including incitement to murder, and a third of them in pre-trial detention, the party managed to boost its support level. Golden Dawn MP Ilias Kasidiaris, who will be tried for assault and illegal weapons possession, won 16 per cent – or 35,000 votes – in the Athens mayoral race and came fourth. In the European elections, Golden Dawn came third, after radical leftist Syriza and liberal conservative New Democracy. In Hungary, Jobbik – a radical nationalist party rife with anti-Semitism – garnered 14.7 per cent of the vote. While this was well below its performance at national elections held in April, the party matched its 2009 election result, will retain its 3 MEPs and was the second largest party in the elections. 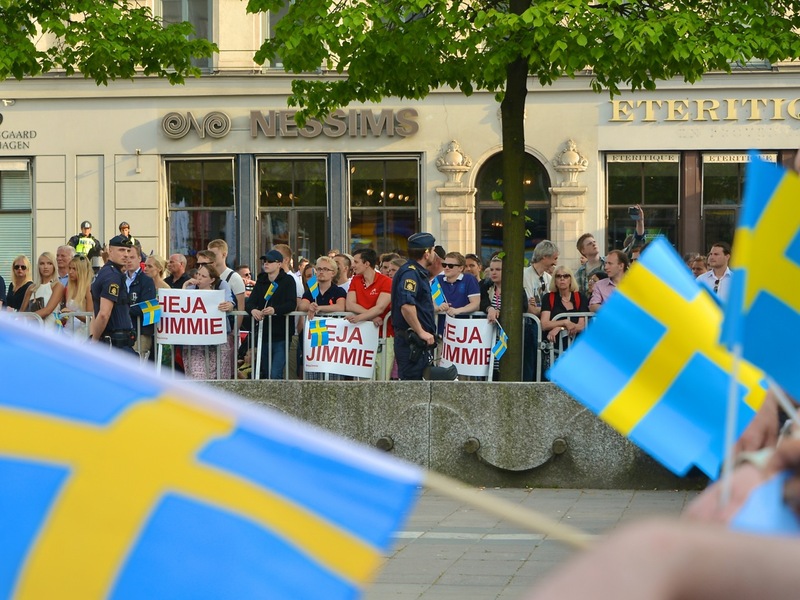 Often unmentioned in accounts of the latest European elections are the losses suffered by the far right in several countries. In Belgium, the radical nationalists in the separatist Vlaams Belang party – which used to be one of the biggest in Europe – continued to lose support. It received 6.7 per cent of the vote, down 9.1 percentage points from its previous EU election result. The populist right-wing party Lijst Dedecker has also disappeared from Belgian politics. Much of the explanation lies in the rise of the New Flemish Alliance. The centre-right N-VA, too, are Flemish nationalists, ultimately seeking an independent Flanders. However, the party underscores that it does not want “an exclusive nationalism”, and states that “anyone can become a Flemish citizen without having to renounce his or her own identity”. Furthermore, N-VA describes itself as pro-EU “without a doubt”. In Bulgaria, the far-right Ataka party failed to get reelected to the European Parliament. The same happened to in Romania’s Greater Romania Party. The party – the second largest in Romania in 2000, with 19.5 per cent of the vote – has fallen out of the Romanian parliament as well, with no representation there since 2008. Such examples run counter to the rise of France’s National Front, and show the difficulty of detecting pan-European trends. In fact, as the Dutch researcher Cas Mudde points out in a recent article on Hope not Hate‘s web site, the far right in the European Union is largely a western European phenomenon. He says only one strong far-right party remains the East: Hungary’s Jobbik. While Mudde may be overlooking the far-right faction within the Latvian National Alliance party, as well as far-right politician Marián Kotleba’s November victory in regional gubernatorial elections in Slovakia’s Banska Bystrica, he makes an interesting point.